In today’s markets, the need to localize your products for specific regions is necessary to achieve a global customer base. Today’s consumers are more inclined to buy a product if it is built to their specific needs, language, culture and location. 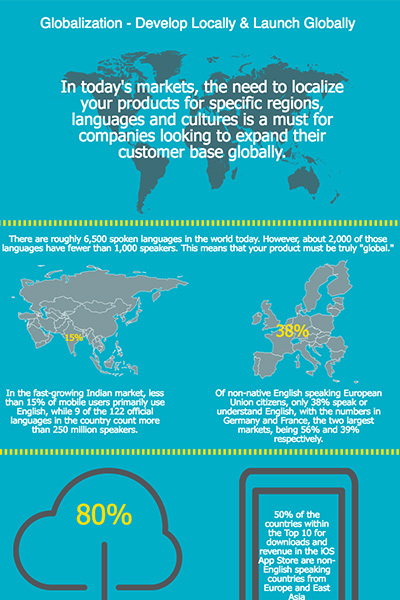 Download our latest infographic and learn how Globalization is key to gaining market share in different regions and countries. Fill this form and download the Infographic NOW!